One of my business marketing professors in college once told our class that the most important advice he could give us for interviews is to clean your car before arriving at the interview. It seemed like odd advice at the time, but since then I have come to realize that he was brilliant. Not only have I been walked to my car after an interview (TWICE! ), but it is a good reminder that the interview does not begin when you sit down and start answering questions. The interview begins the moment you are spotted. This was nearly 2 decades ago -- before we all had a personal online presence! Now the interview begins long before your car reaches the parking lot. 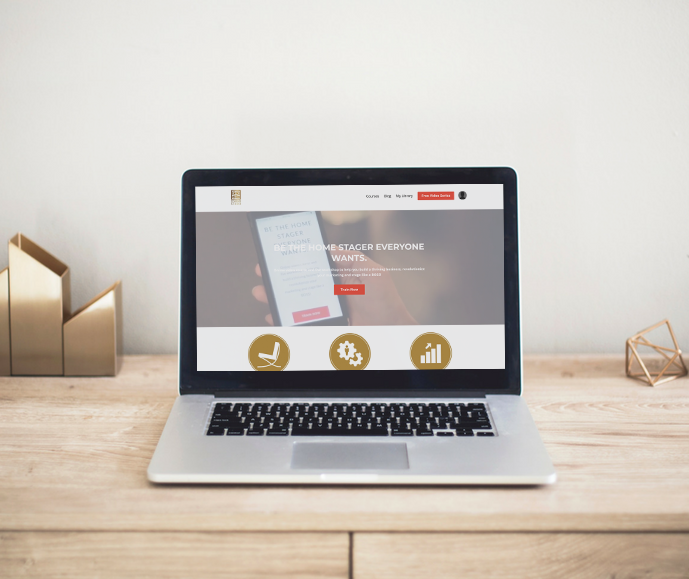 Is your website beautiful and easy to use? The perception will be that your work is beautiful and you are easy to deal with. 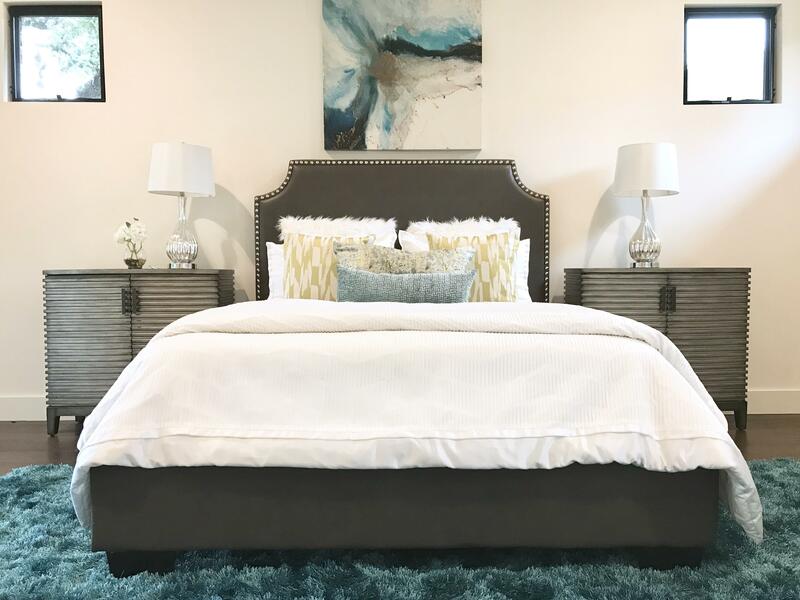 Are your furnishings high-end? Then luxury is a part of your brand. 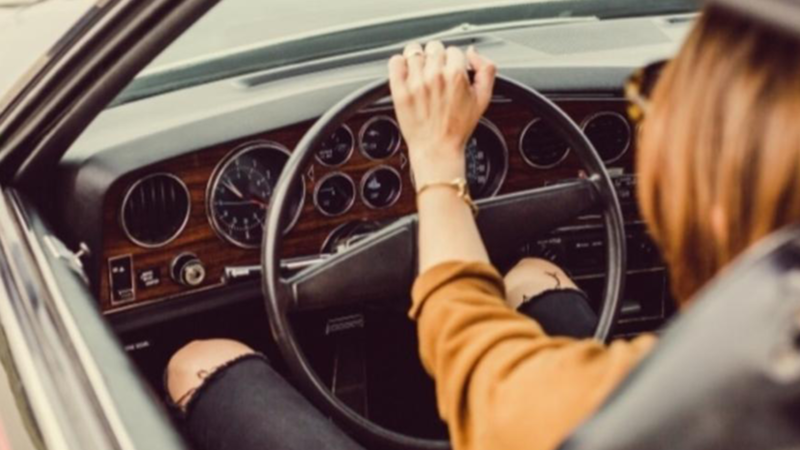 Does your inventory reflect the latest trends? Your brand includes the ability to attract younger buyers. 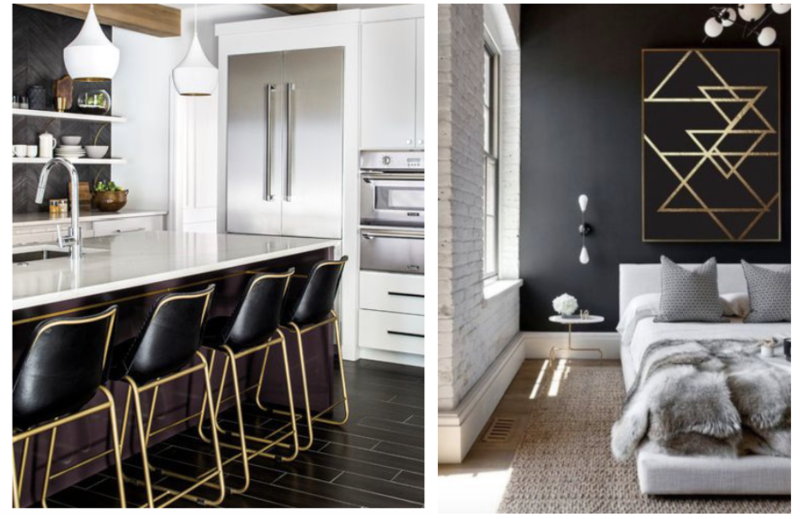 Picture credits: Left came from Houzz.com (barstools are from CB2.com), Right is from Elle Decor. 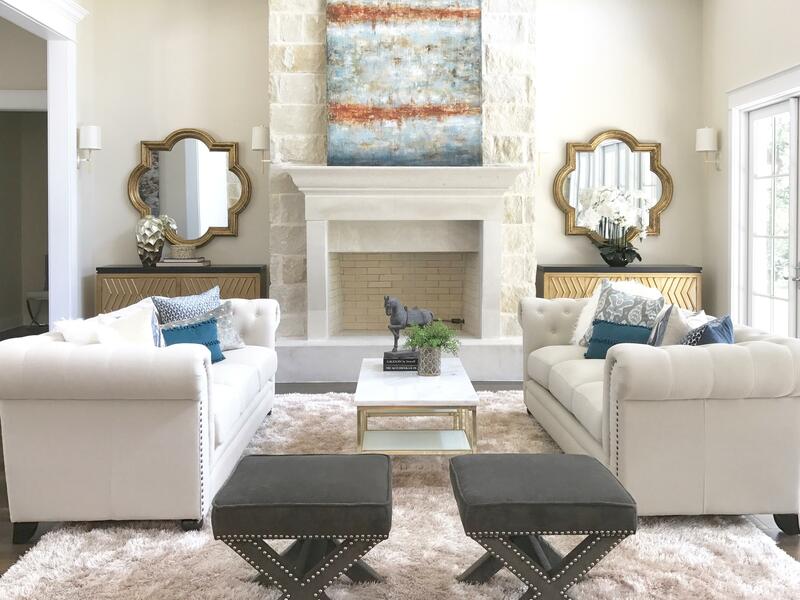 Can you clearly communicate design principles and vocabulary when explaining your staging decisions? Your training is a huge part of your brand. Do you have typos in your emails and social media posts? Not paying attention to detail is a part of your brand. Are you always late? Being unreliable and inconsiderate is a part of your brand. Everything you do is a part of your brand. This may feel daunting-- everything you do is being scrutinized! But actually, as a home stager, designer or realtor, you are already a professional brander! You are constantly BRANDING houses! You are thinking through who the target buyer is for each home and preparing it in a way that would attract the right audience. 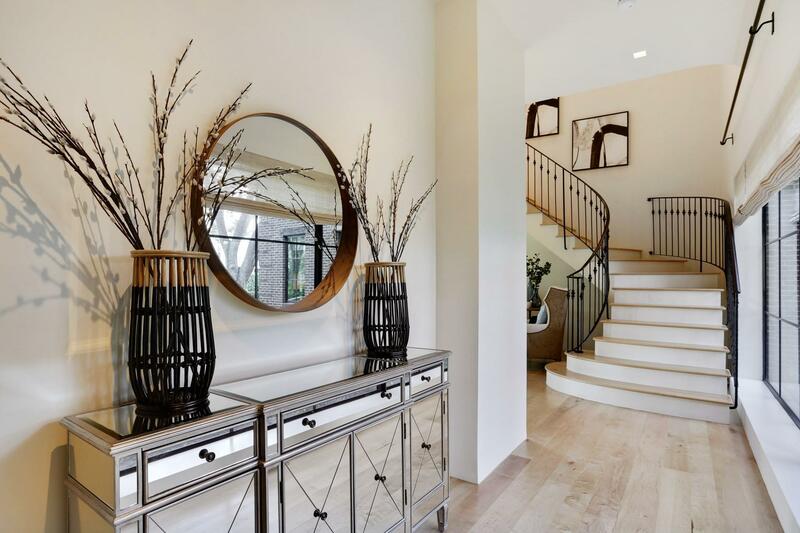 You are using a level of furnishings that is a step above the home itself-- branding it as high-end and more valuable. You are advising your clients to clean gutters, vents, and change burned out light bulbs to show that the home has been well maintained and cared for. You are recommending colors that update and neutralize spaces, branding the home as clean, fresh, and ready to move-in. 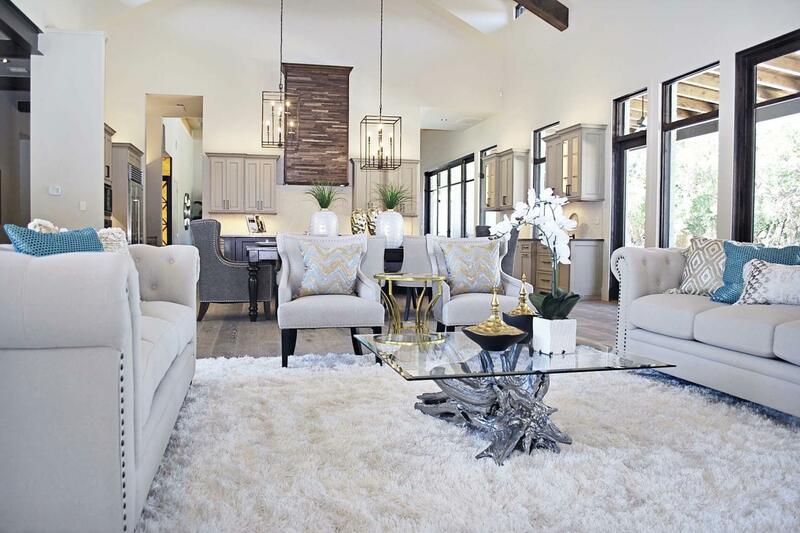 You are placing furniture that defines spaces, eliminates or overcomes negatives, and highlights the positives. So, if you are already branding homes, you are branding yourself! 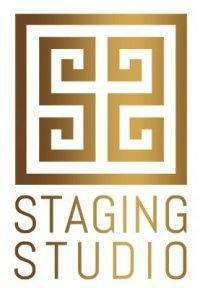 Debbie Boggs and Julie Young, Co-Founders of Staging Studio, wrote a book (along with 9 other industry leaders) about marketing. 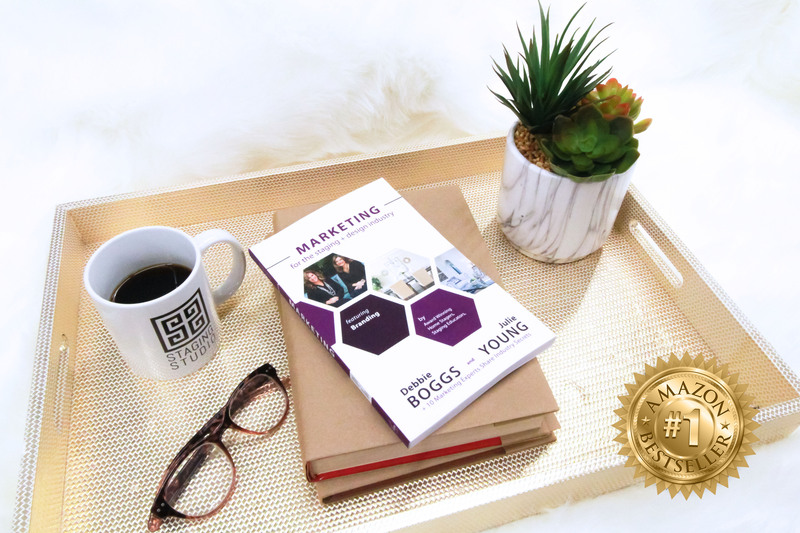 Their chapter, on Branding, is worth the price of the book, but the whole thing is packed with great insights specifically for marketing your home staging business. 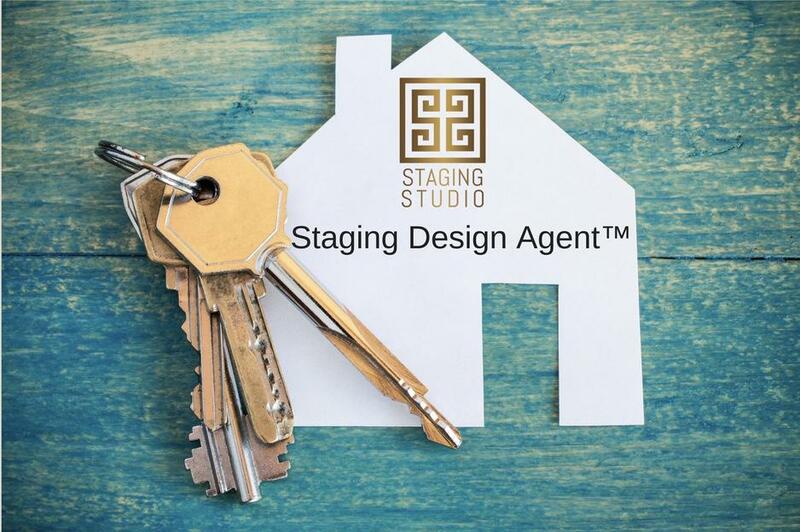 Click here to buy the #1 Best Seller on Amazon in interior design and decorating, Marketing: For the staging + design industry. 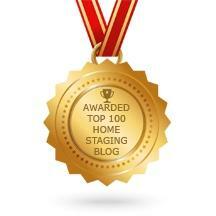 Written by Andress Eichstadt, Creative Director for Staging Studio.